Ragusa About this sound listen is a city and comune in southern Italy. 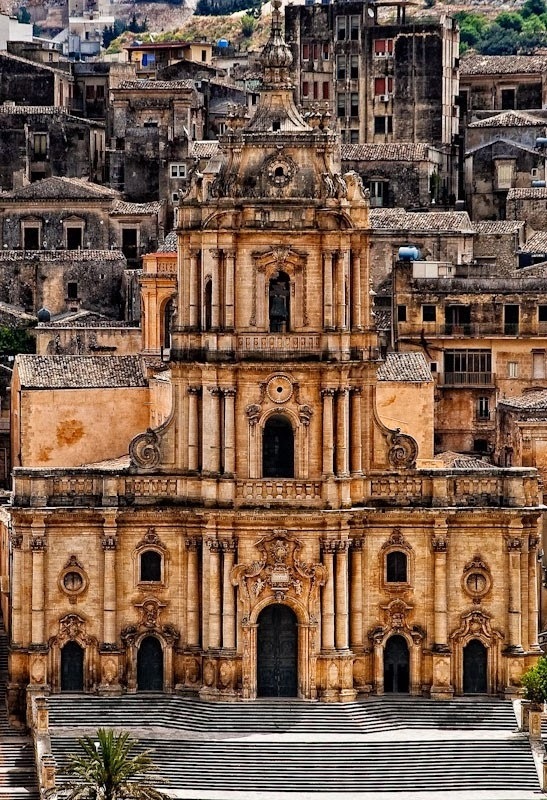 It is the capital of the province of Ragusa, on the island of Sicily, with around 75,000 inhabitants. It is built on a wide limestone hill between two deep valleys, Cava San Leonardo and Cava Santa Domenica. Together with seven other cities in the Val di Noto, it is listed among the UNESCO World Heritage Sites. The origins of Ragusa can be traced back to the 2nd millennium BC, when in its area there were several settlements of the ancient Sicels. The current Ragusa Ibla lies probably on one of them, identified as Hybla Heraea. The ancient city, located on a 300 m high hill, entered in contact with the nearby Greek colonies, and developed thanks to the nearby port of Camerina. After a short Carthaginian rule, it was administrated by the Romans and the Byzantines: the latter fortified the city and built a large castle. Ragusa was occupied by the Arabs in 848 AD, remaining under their rule until the 11th century, when the Normans conquered it. Selected as County seat, its first Count was Geoffrey, son of Count Roger I of Sicily.